Handmade American 24-gauge steel sign. The perfect board for chopping, carving meat and serving food. Has a juice moat to prevent spills. Made in the USA. 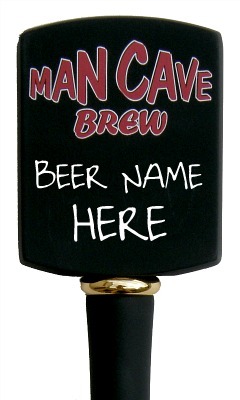 What's on tap in your Man Cave? Write what you are serving on the tap handle with supplied chalk. 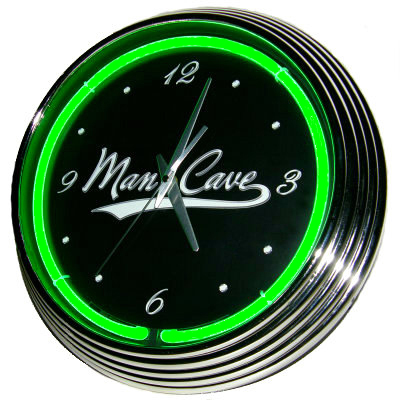 WELCOME TO MAN CAVE GIFTS The Original Man Cave Gifts Store. The source for affordable and unique Man Cave Gifts, Man Cave Decor, Man Cave Signs, Gifts for Men, Groomsmen Gifts, Mens Decor and Personalized Gifts for Him. Offering Exclusive & Original Gifts & Decor for Men, the Man Cave & Groomsmen that you can not find anywhere else. We specialize in Gifts, Decor and Signs for the Man Cave. We are proud to offer a unique selection of decor and gifts for men, groomsmen and for the Man Cave. We have many exclusive products only available at our store. 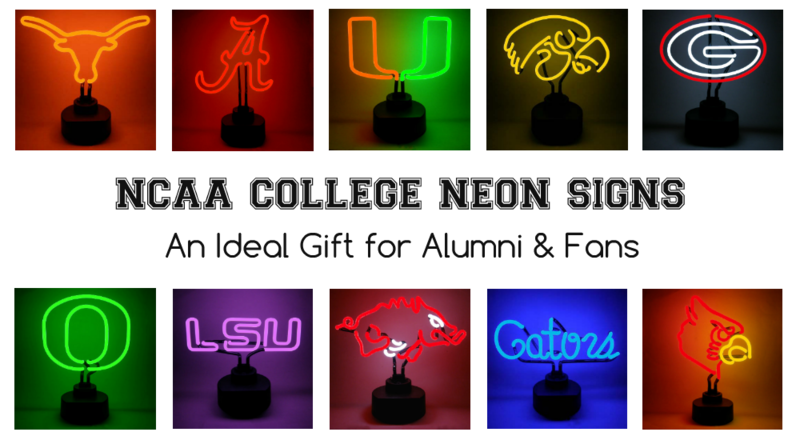 We are proud to offer over 2000+ mens gifts and decor products, including: Personalized Man Cave Signs, Bar Sign & Pub Signs, Beer Taps & Beer Signs, Neon Signs & Neon Clocks, Barware, Personalized Glassware for the Bar, Mini Oak Barrels, Sports Gifts & Decor that include NFL, MLB, NHL, NBA & NCAA licensed products. 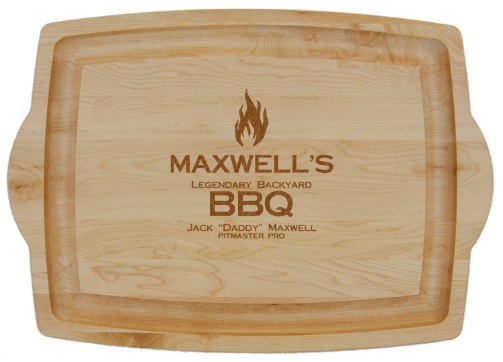 We also have other mens items that are sure to be a hit, including: Barbecue Accessories & BBQ Grilling Tools, Poker Gifts & Decor, Pool Room Gifts & Decor, Military Gifts and Decor, Vintage Metal Signs and a large variety of Personalized Signs. WHAT IS A MAN CAVE? A designated area, such as a spare room, media room, basement, garage or an outdoor shed at a residence that is a sanctuary or retreat inspired by and for males. A Man Cave is created by "the man of the house." It is the one place in the house that a man can truly have complete control of. He controls what goes in to his Man Cave and how it is decorated. A Man Cave owner has been known to appreciate help from his favorite female with locating desired items and decor for his special room. Man Caves are often used for spending time alone or socializing with other male friends. And yes, even women and children are allowed in as long as they remember who is "King" of this Castle. Particular events that take place in a Man Cave include: watching sporting events, getting together to talk, playing poker or billiards, beer or wine tastings, having particular celebrations or meetings and other social bonding activities. MAN CAVE IDEAS and MAN CAVE THEMES The Man Cave is a reflection of it's owner. 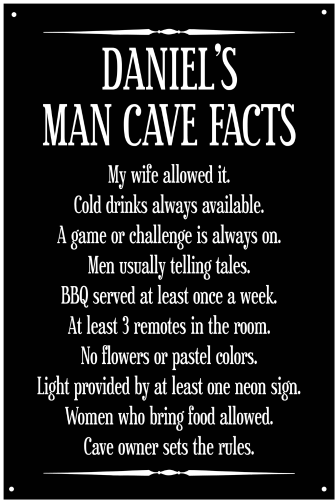 Once you walk into one's Man Cave, you immediately know the man behind the cave. His interests and passions are on display for everyone to see. The owner of the ManCave may choose a dominate theme or a combination of themes for his Man Cave. Some themed Man Cave ideas include: the Las Vegas Casino Man Cave, the NFL Man Cave, the Classic Car Man Cave, the Rock 'n' Roll Man Cave, the Outdoorsman Man Cave, the Nautical Man Cave, the Irish Pub Man Cave, the Swingers Retro Man Cave, the Cigar Lounge Man Cave, Home Theater Man Cave or even a Man Cave dedicated to a favorite college, sport, sport's team or hobby. 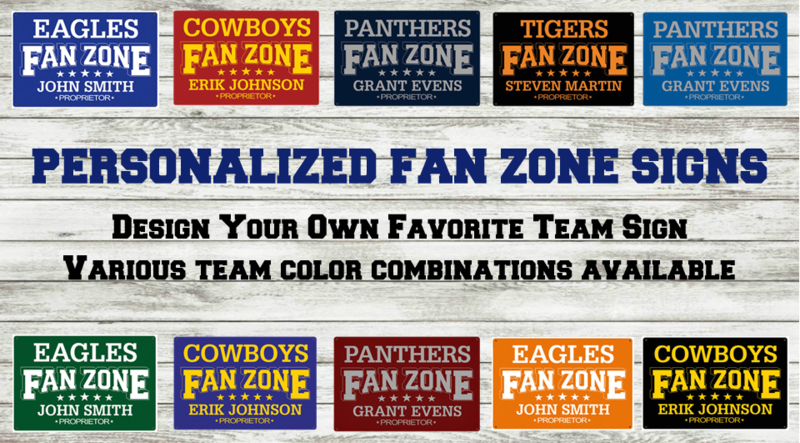 LEARN MORE at Man Cave Themes and Man Cave Ideas for our ultimate list that we have put together. MAN CAVE TRENDS and MAN CAVE NEWS Visit us frequently for the latest Man Cave Trends, Man Cave Ideas, Man Cave News and Man Cave New Product Announcements. Click on Man Cave Trends and Man Cave News for the latest.